Lunch time at the Whispering Canyon Cafe tends to be just a bit more low-key than dinner, especially if you go late in the dining period (between 2:00pm and 2:30pm for example). The restaurant is the Wilderness Lodge's only "non-signature" table service location and is located on the interior first floor of the resort. The wise-cracking wait staff "sassing customers" is part of the show at Whispering Canyon Cafe, which usually plays better when the restaurant is full and not so much between shifts, so you can plan your visit accordingly. The food here is mostly "American West Frontier Fare" and many guests go for the All You Care to Enjoy Skillet that includes quite a few meats (ribs, roasted chicken, sausage, etc.) and trail wagon accompaniments like mashed potatoes, corn on the cob, and baked beans. There are some a la carte items on the lunch menu though. 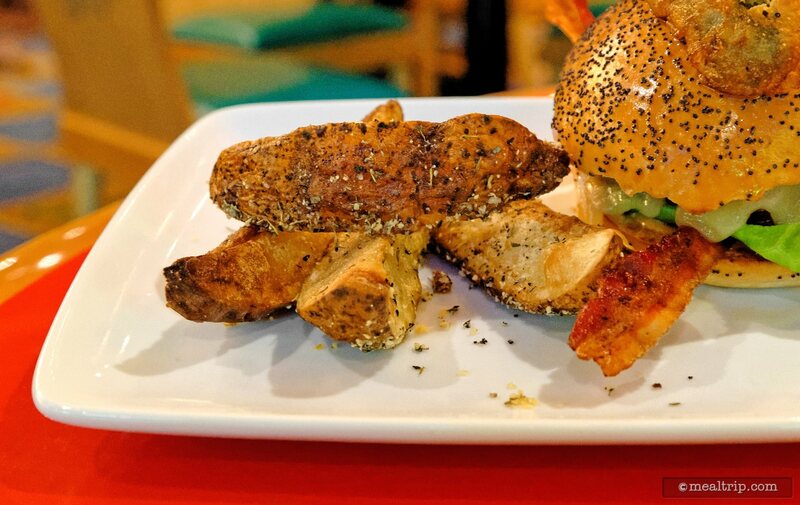 Most are sandwiches that also fit the theme, but some (like a burger and "Mediterranean Chicken Sandwich") are more for those that don't want to eat "western". 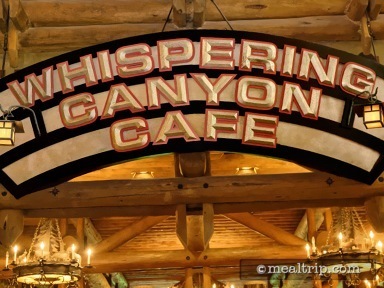 Whispering Canyon Cafe can be a very loud, boisterous experience… which is exactly what it's supposed to be! 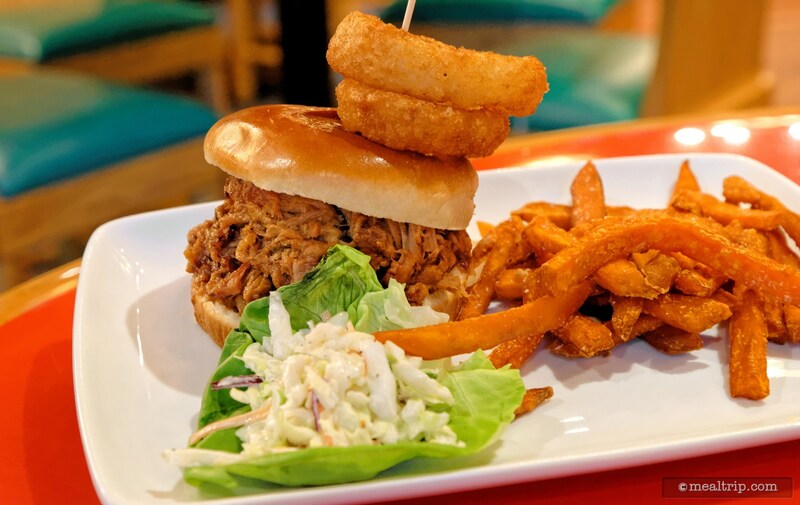 But if you want to try out this middle of the road bbq-ish restaurant, (which for many, has become like an old-friend that you must visit on any trip)… minus all the excitement… a late lunch might be the perfect time. At the tail-end of their lunch reservation window (between 2:00pm and 2:30pm) the place is like a ghost-town and you just might be able to convince your server to go a little low-key too! On a recent lunch visit at 2:00pm there were only six tables going, and the atmosphere was actually quite peaceful. Granted, it was a weekday, but I suspect weekends are not much different. 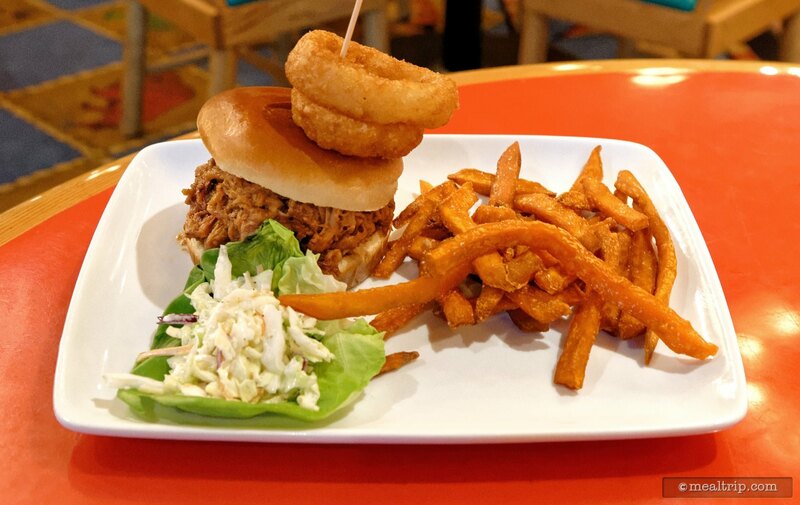 It has been a few years since I last visited the Whispering Canyon Cafe, and like most Disney dining locations, the lunch menu has gone through some changes, but a decent variety of options still remain. It's probably safe to say that one of the most ordered items on at Whispering Canyon (for lunch and dinner) is the All You Care to Enjoy Western-style Skillet … which thankfully, is still on the lunch and dinner menus. 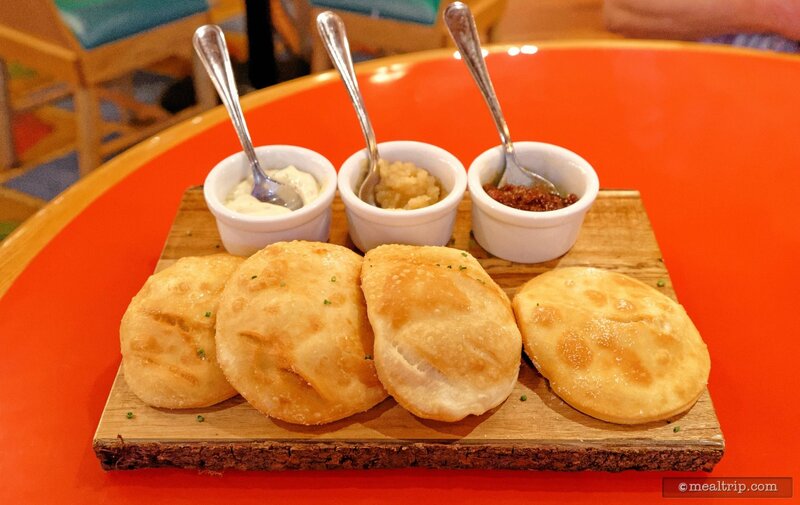 I wanted to branch out a bit on this visit though and saw a new appetizer that I had not noticed before… the "Canyon's Indian Fry Bread with Dipping Sauces". I really enjoy the bread and dipping sauce starter at Sanaa, and wanted to see how this compared. Not to keep anyone in suspense … it didn't come close… but at the same time, it wasn't a complete miss. The flash fried bread itself came out piping hot and was slightly dusted with flavorless white specs (which I could not identify in a culinary way), along with some diced chives for color. The bread, was great! The dipping sauces? I was expecting something a little different, but this may come down to a personal taste thing. One of the three sauces was a dark onion jam of sorts, which was mildly sweet. I really wanted this one to be more savory, but the sweetness wasn't out of context for an onion "jam". The second, was an apple chutney … which was actually less sweet than the onion jam, and had a hint of... some kind of spice seasoning… which I wasn't expecting in an apple chutney. I know a little bit about spices … but I couldn't really tell what it was spiced with... possibly anise and garlic. The third (and final) dipping sauce was a garlic aioli. This one was my favorite of the three (or maybe a tie for first with the onion jam)… because it was the most savory of the bunch … but still didn't hit that "Ooooo, I must get this again next time I'm here" button. Whispering Canyon Cafe's Garlic Aioli should probably be called "garlic inspired mayo" (which in all fairness, is what an aioli is, this one was just really light on garlic)… and I'm still not convinced that a proper Garlic Aioli should be a thing. There needs to be more going on than mayo and garlic for it to be memorable. I was expecting the dipping sauces to possibly include something like a chili, or western style salsa, or even something exotic like a bbq pork mix that would give this whole appetizer some craveability. It just wasn't there for me. 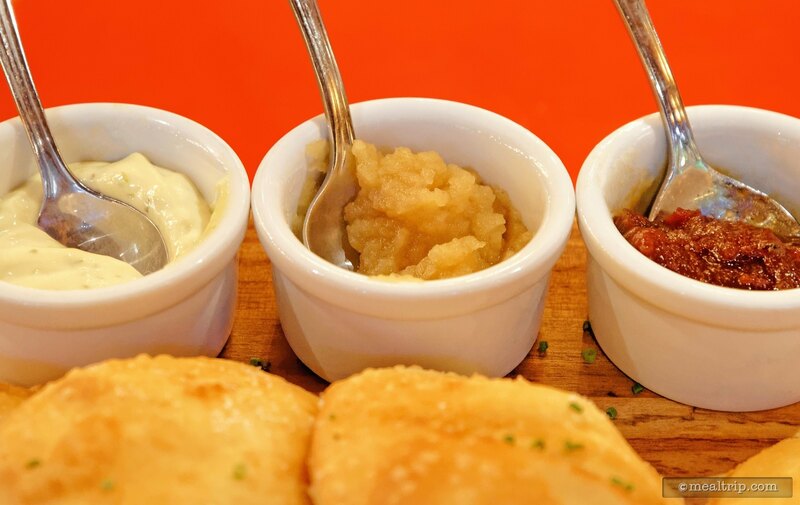 It's important to note… I am making up the names for the dipping sauces, because they are not officially listed on the menu anywhere… which leads me to believe that they could change from day to day without warning. 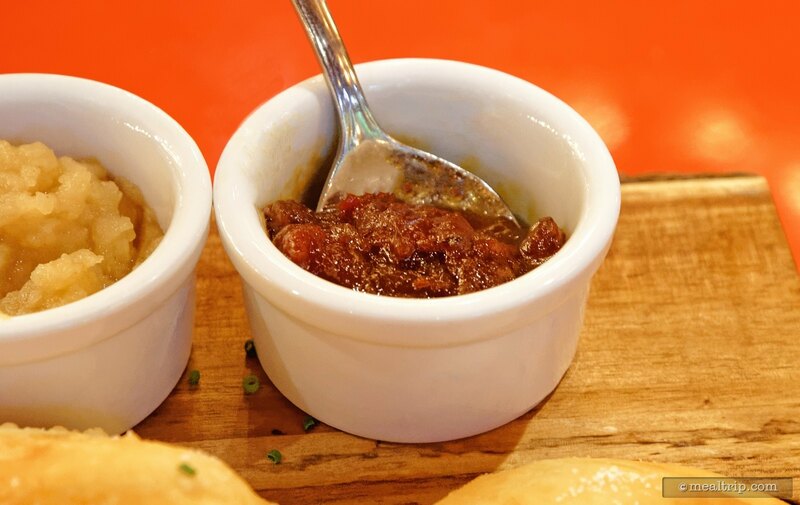 At least the bread itself should be the same… which is good… because it was the star of this appetizer plate. Moving on to my main lunch item… the "Chopped Bison Burger"… I'm happy to report they put the "build money" of this dish in the right place… the meat portion of this burger is one of the better ones I've eaten on Disney property and could easily go head-to-head with something you might find outside the park system (which is high praise). The White Cheddar Cheese on this one added a creaminess to the texture but very little flavor. The flavor of the "double-smoked thick-cut bacon" also surprisingly got lost in the amazing flavor of the chopped bison. I'm not sure how they got bacon to look so amazing, without having much in the way of flavor, but it did add a nice crunch to the experience. 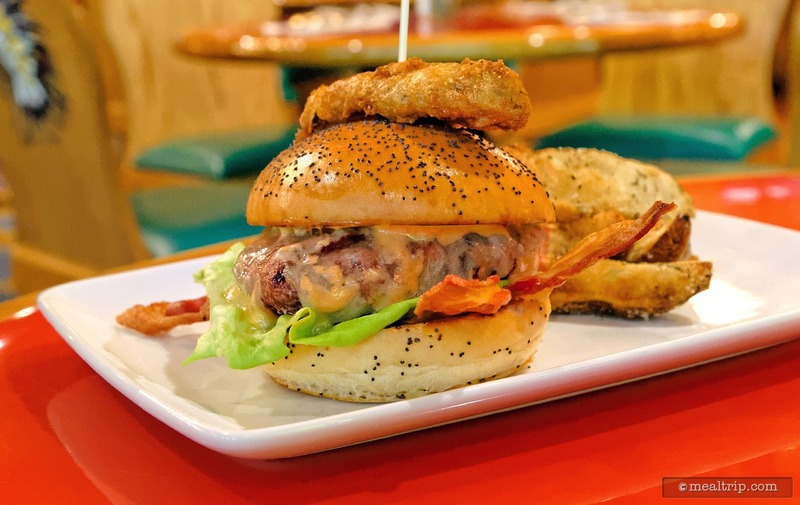 I have to dedicate three paragraphs to the "Sriracha Aioli" that is said to be on the burger. 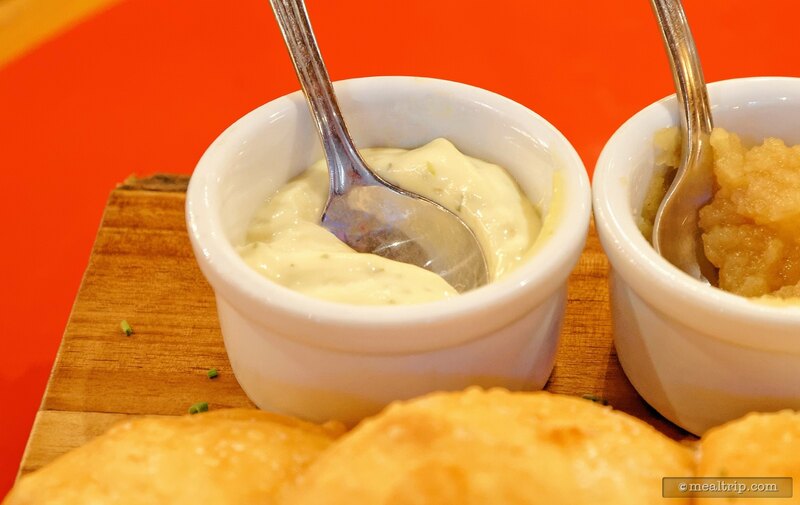 If you're unfamiliar with Aioli… it's just stuff mixed in with mayo. Oh sure… it's more complex than that… but you get the idea. I like spice, heat, and flavor … and was looking forward to getting just a hint of any of those things from the Sriracha Aioli … unfortunately, it was all but barely noticeable in the burger. I deconstructed the sandwich a bit… and it did appear to be on there… but it was more like "Sriracha Inspired Mayo" than anything. I asked the server about it… suggesting that it wasn't as hot or flavorful as I was expecting… and his response was that "you were the one that suggested it was hot… I never said that". Now, I know this is kind of a tongue-in-cheek dining location but really… the word "Sriracha" printed on the menu suggests that it's hot… not me. It still comes down to "if I can't taste it… don't print it in the menu". All in all, it's not a bad burger, really… it's one of the better burgers I've had at Disney… but like most of the food offerings these days, the flavor has seemed to have been normalized for the masses, rather than trying to be a signature "wow" item with any kind of craveability... that would make me want to order it again. I'm just saying. The portion sizes… were about right, after sharing the appetizer with the family, and eating my own Chopped Bison Burger… there was no need for dessert. Even though both the Fry Bread and Burger were great food items… neither really wowed me enough to call them "must try items"… based on past experiences here… I'd say the All-You-Care-To-Enjoy Skillet… is probably still the "wow" item on Whispering Canyon Cafe's menu. CLICK HERE to view all 8 images in our photo gallery.